The Alphas at Florida Gulf Coast University are a clever band of brothers. 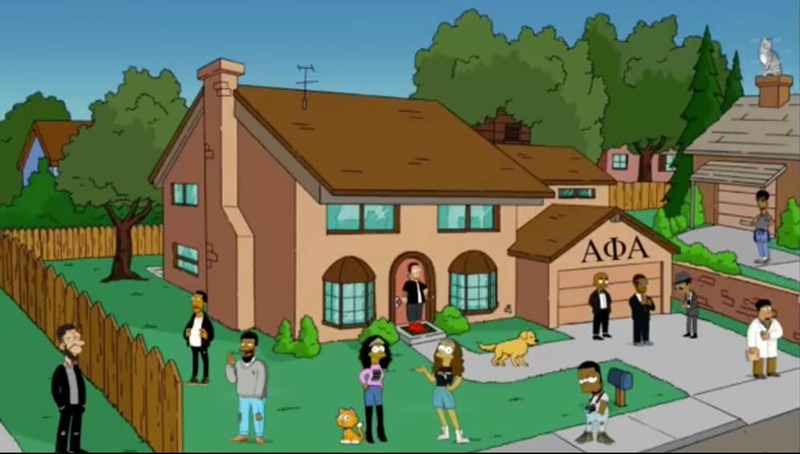 To welcome their fellow students back to school and to introduce themselves to the incoming freshmen class, the Upsilon Sigma Chapter of Alpha Phi Alpha redid the Simpsons intro to highlight who they are and how to contact them. All of the brothers in the chapter had their own custom character made of them that looks just like the Simpsons’ characters and they even made characters for their pageant winners and chapter advisors. Good job undergrads! We love the creativity!